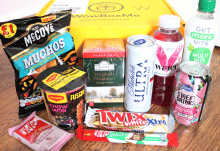 The arrival of my Mr Big Tops subscription box is one of the highlights of my month. It never fails to put a smile on my face despite the inevitable bicker over who will get first dibs! 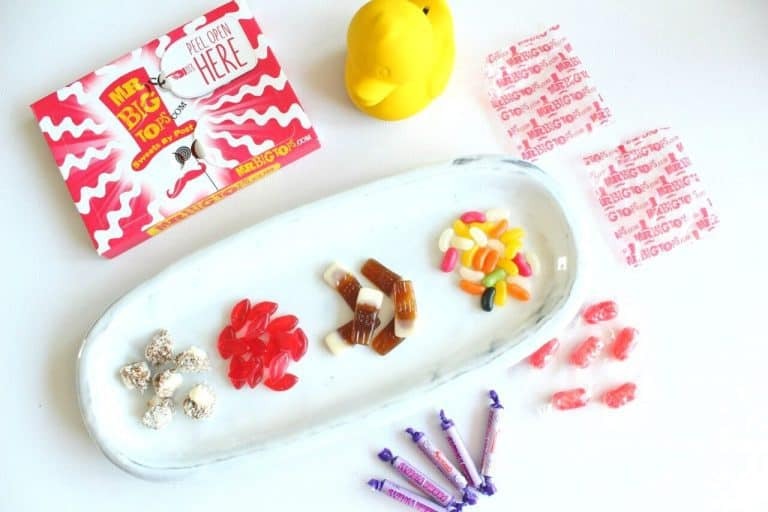 Everything from the brightly coloured box to the substantial selection of sweeties brings pure sugar filled joy! 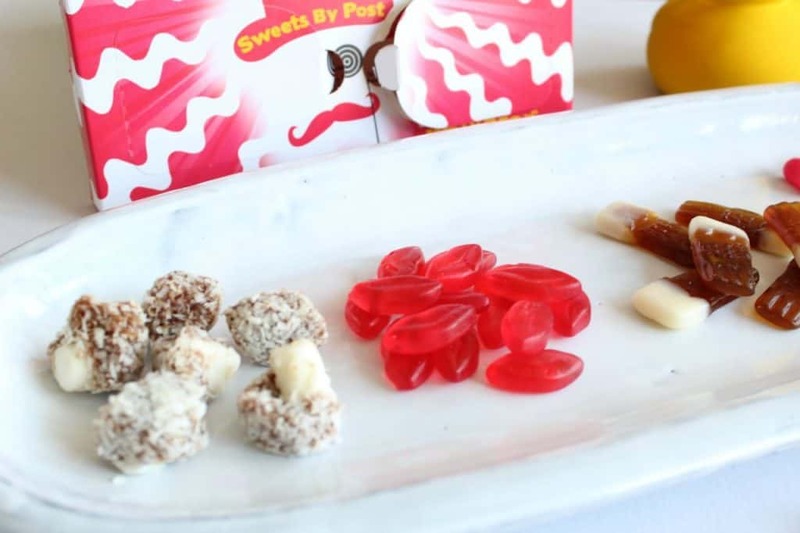 The popping candy in particular was a blast from the past and probably my favourite along with the Parma Violets. I know how controversial Parma Violets can be, they are the Marmite of the candy world, you either love them or hate them but I sit firmly on the LOVE side of the fence. Impressively there were some sweets included which were new to me, given the sugar fiend that I am it’s rare to find a sweet I haven’t tried. Although I wasn’t a fan of the Pint Pot Beer Bottles at least I can tick them off my candy bucket list. 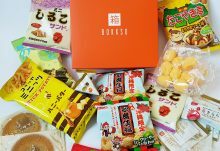 There were a couple of sweets (Coconut Mushrooms and Jelly Beans) which I also received in last months box. I wasn’t too fussed about duplications as I do understand you will get the same sweets from time to time but it would be nice if you didn’t receive them on consecutive months. I really like how the sweets are individually wrapped in bags so you can take them out on the go. Also, it’s worth noting the Mr Big Tops customer service is top notch. This months box was a little late arriving so when I reached to find out what happened they couldn’t have been more efficient in getting it sorted. I genuinely think this is such an ideal gift or even just a nice treat for yourself. Mr Big Tops offers a choice of four subscriptions (twice a week, once a week, fortnightly or once a month) and the price per box slightly differs depending which option you select. Postage is included for all services. The most you’ll end up paying per box is £5.49 for the monthly option which I think is pretty good value, especially given the nostalgia element. 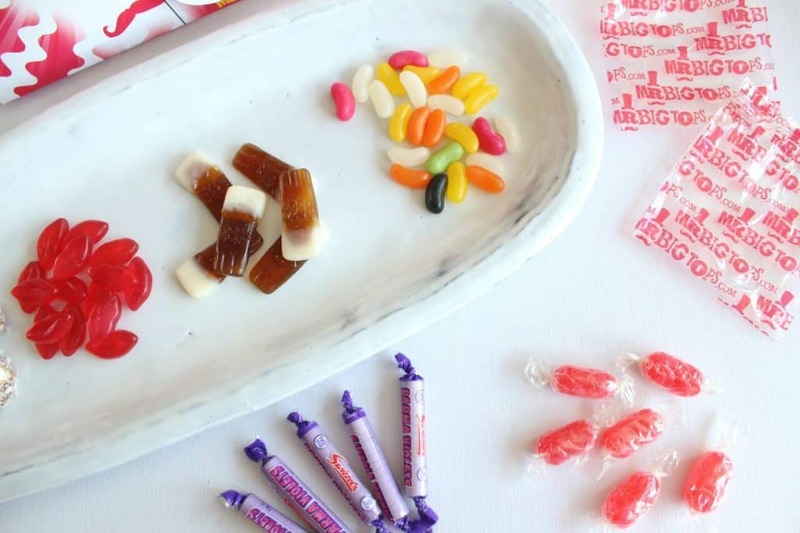 This month I got to try some brand new sweeties as well as enjoy a few of my all time favourites. Thumbs up all round! 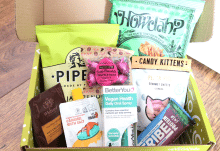 Use code FIRSTBOXFREE when purchasing a subscription service and only pay £1.50 for P&P. 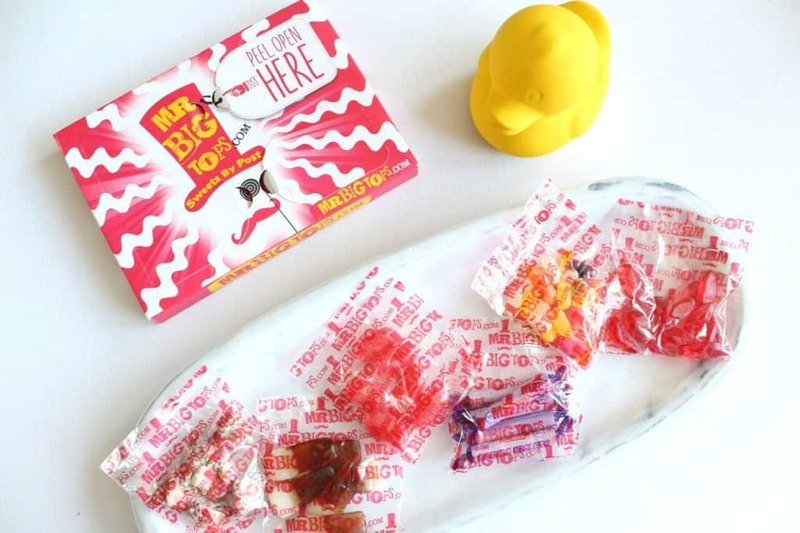 Another great box from Mr Big Tops that left me hyper and happy! Great variety and all delicious! How would you rate Mr Big Tops ? I'm a twenty something girl living in London trying to stylishly stumble through life. I currently run the fashion and lifestyle blog That New Dress. It includes a range of topics to cover the whims and interests of any happy go lucky, city dwelling girls (and guys) who are looking for good fashion, shopping, beauty and lifestyle tips. Catch it over at http://www.thatnewdress.com.